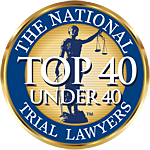 NJ PRE-TRIAL INTERVENTION LAW: AM I ELIGIBLE? Simply stated, PTI provides an avenue through which first time offenders are able to avoid a criminal conviction provided that they stay out of trouble and make strides towards becoming a more productive member of society. PTI provides individuals who may have made a single bad mistake a proverbial “second bite at the apple.” Call Robert F. Black, Jr. today to see if you might be eligible for PTI. Even if you are initially denied entry to the program, we may be able to help. Call Today!